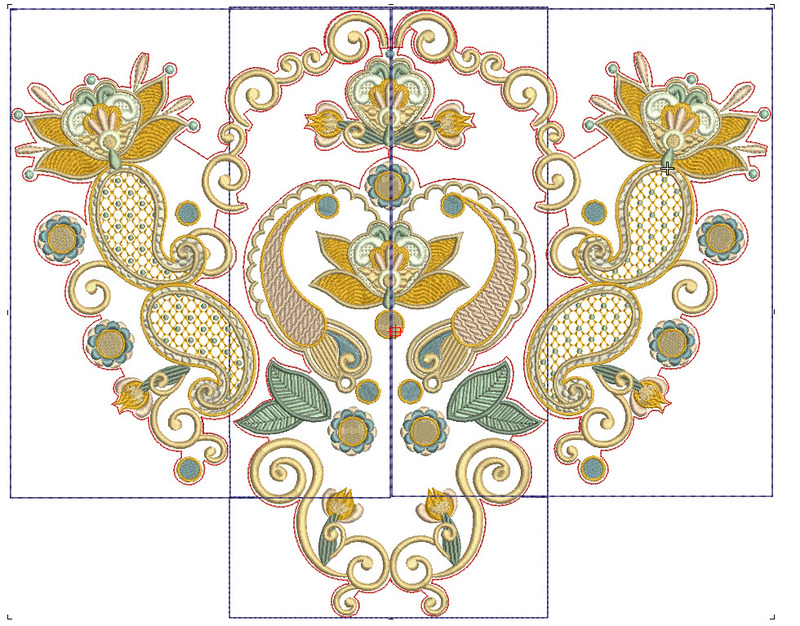 If you are not familiar with OAS most of the recent designs at Graceful Embroidery are available with and without them. They make the placement of embroidery much easier. Look at the first design, the centre of this mega design. 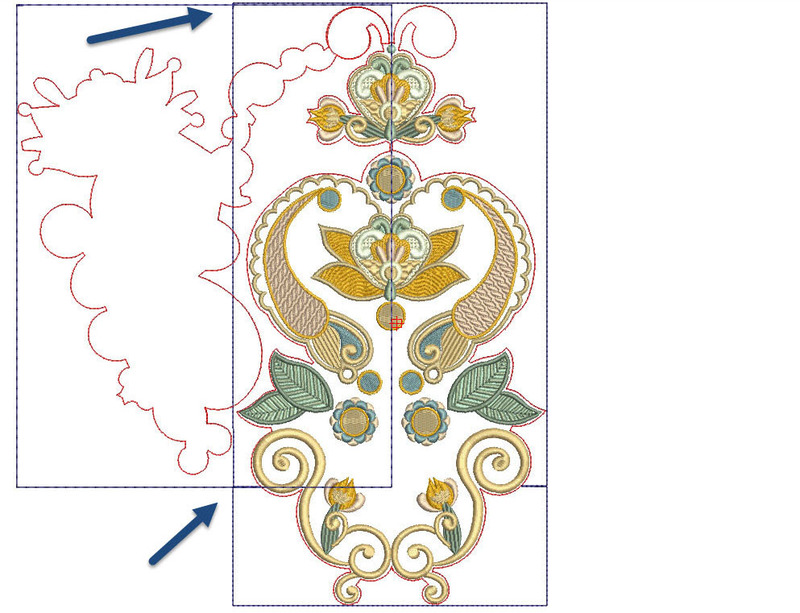 It has 2 outlines, one red which follows the shape of the design and a box of stitches in blue, which are stitched out first. The red outline is stitched out on just your hooped stabiliser so the outline will enable you to apply your fabric correctly and attach it with the box of blue stitches. 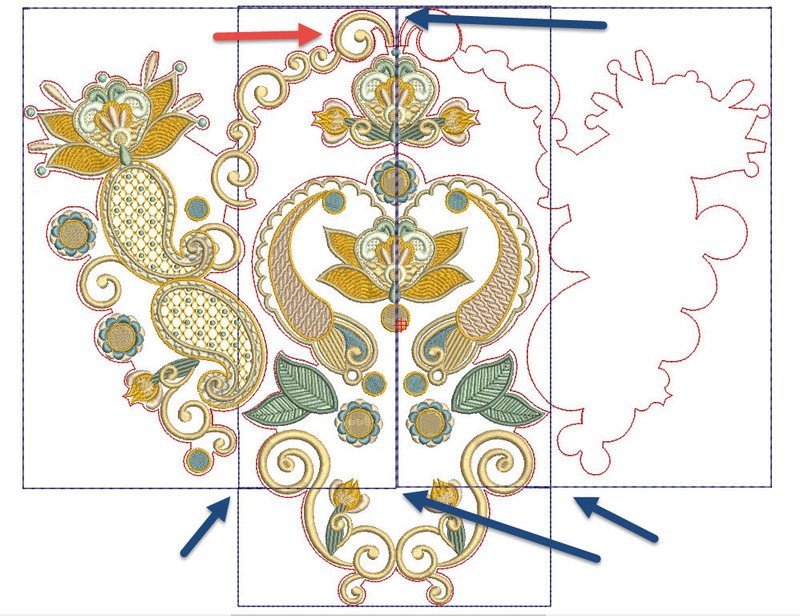 Notice the extra lines on the blue outline and the red ones at the top which are guidelines for attaching the side designs. I hope this sequence shows you how easy it is to embroider mega designs. If you have not yet attempted one of these combinations, do take the time to meet the challenge. Imagine the satisfaction of wearing a jacket with this on the back. I love embroidery on the reverse of garments which makes a statement as you pass by. There are too many embroidered garments out there in the shops that are full of embroidery on the front, but devoid of any on the back. My message is embroider on both especially for bridal wear as that is more visible in the ceremony. 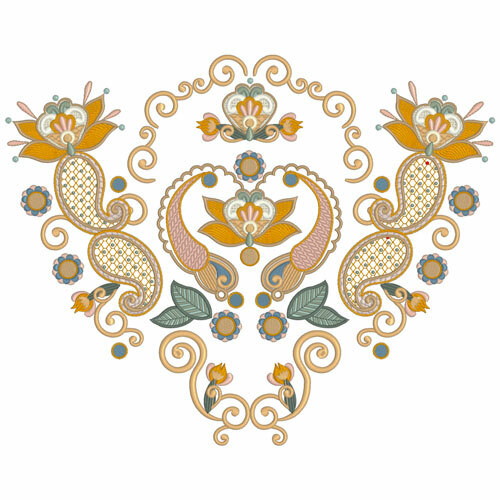 All the designs in the Plume de elegance collection are now available now at Graceful Embroidery. 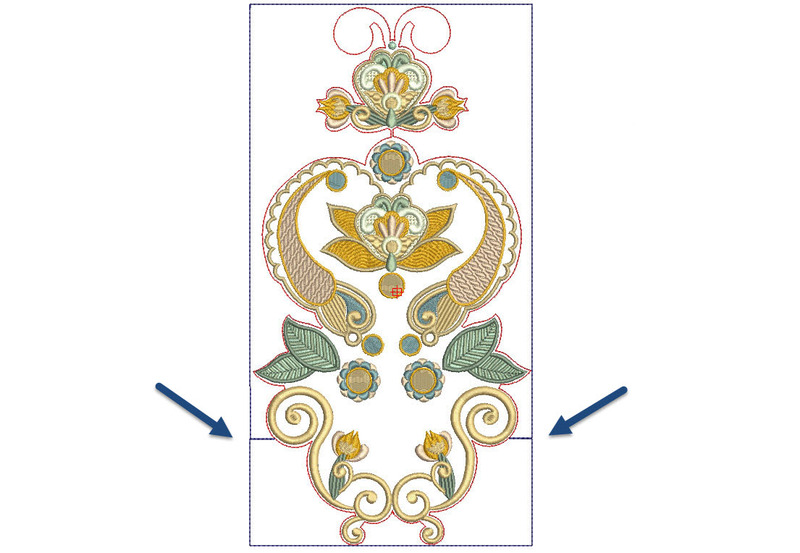 This entry was posted in Discussing machine embroidery and tagged combining embroidery designs, development of embroidery, machine embroidery, Outline alignment stitches, Placement of designs. Bookmark the permalink. Thank you for the placement advice.